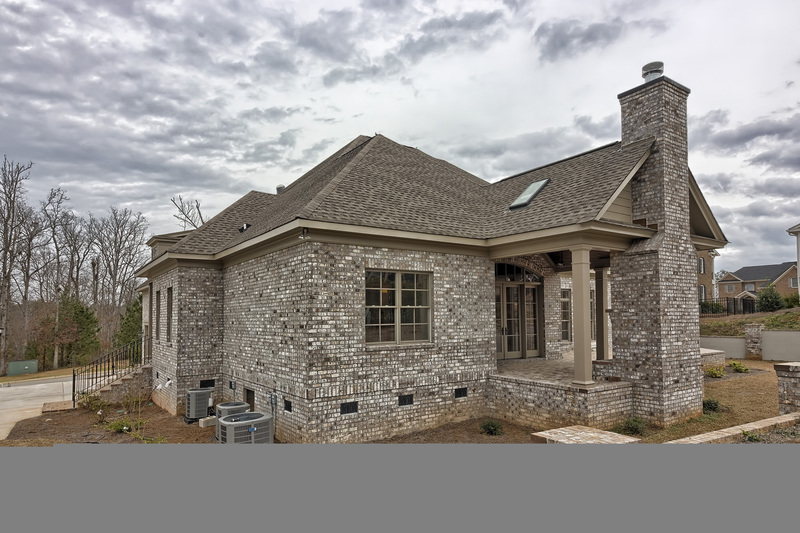 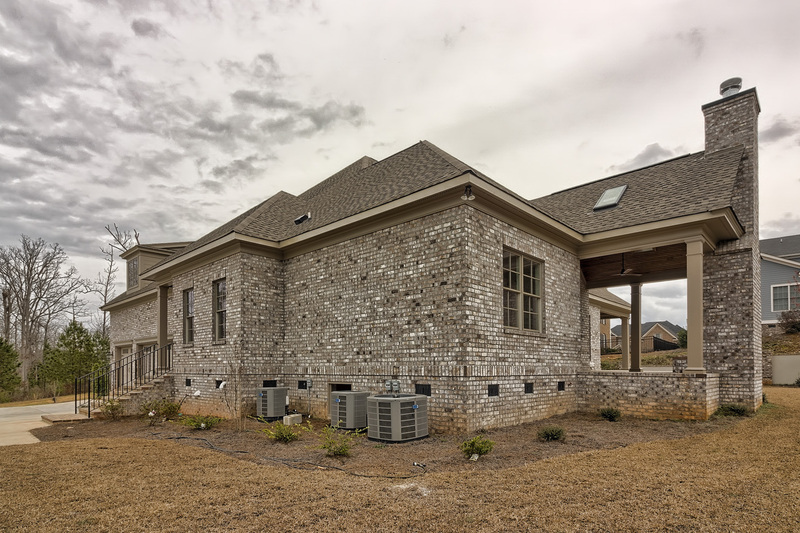 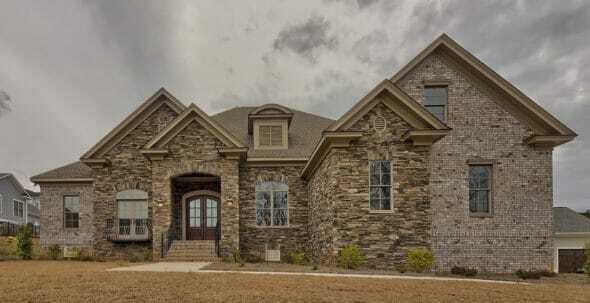 First impression of this two-story custom River District home by builder Michael Nemec is “grand.” A two-toned stone exterior speaks of stateliness and security. 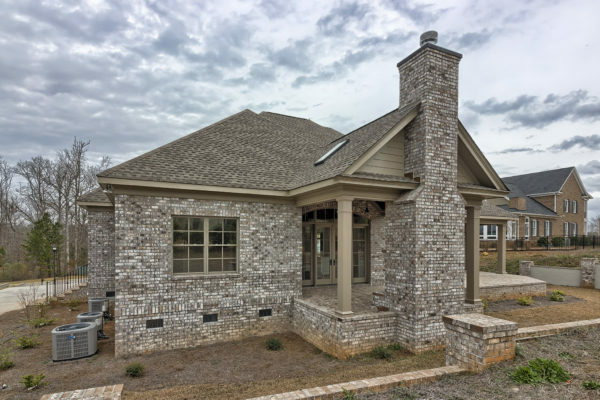 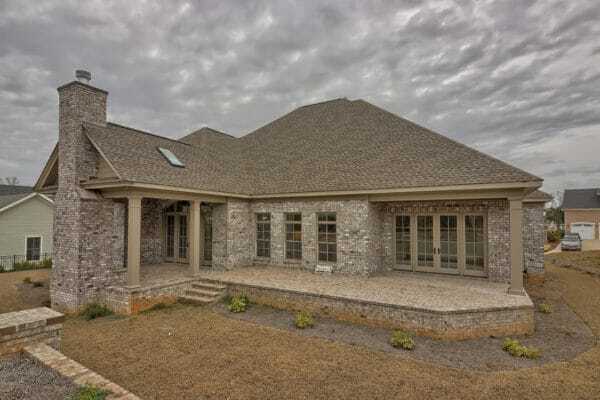 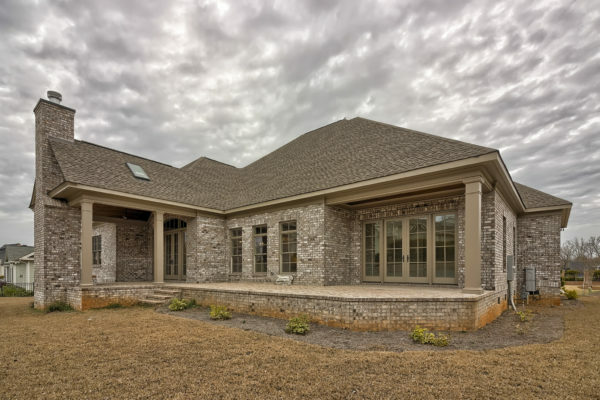 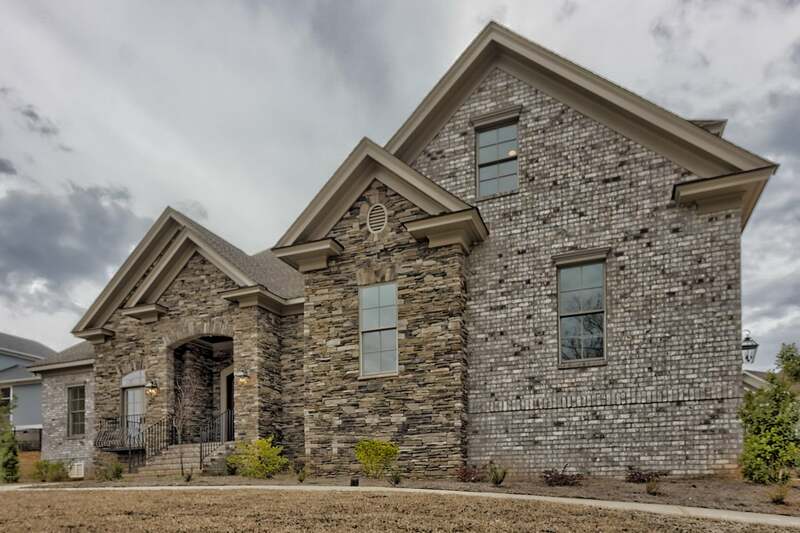 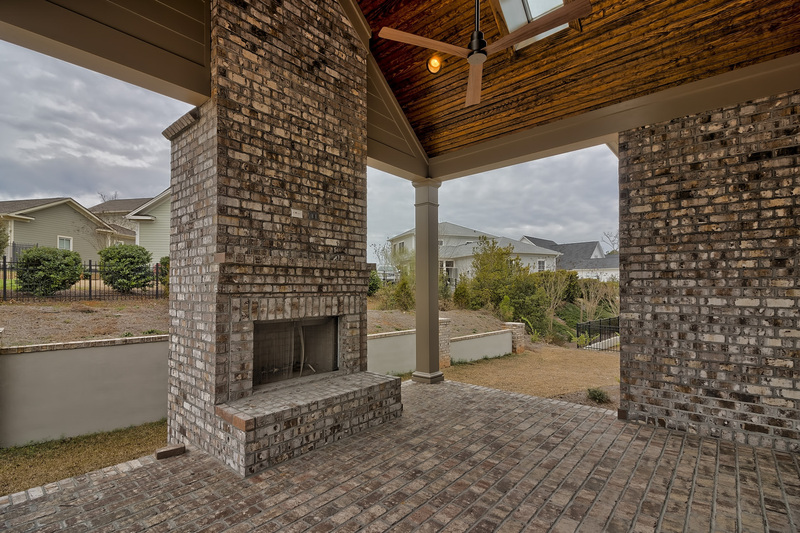 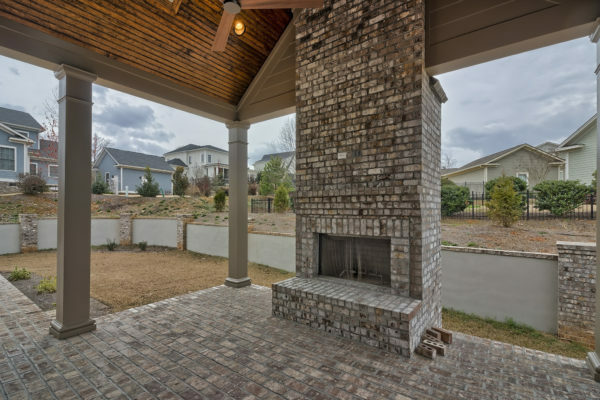 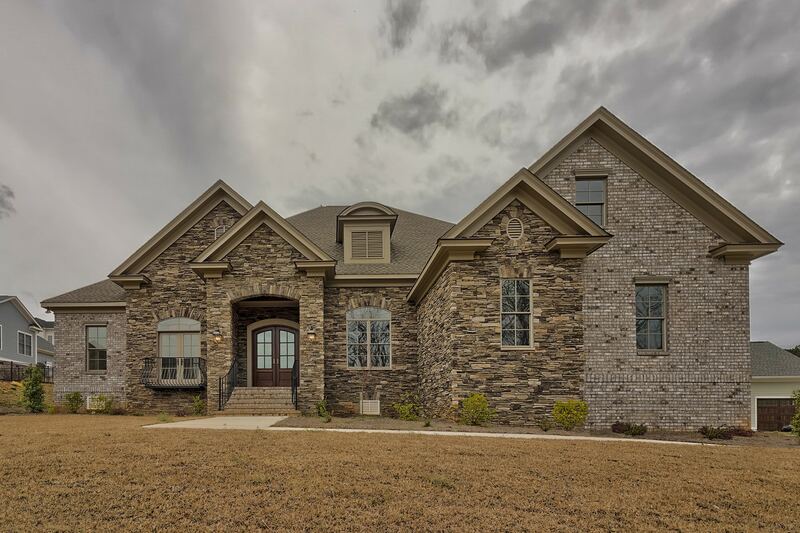 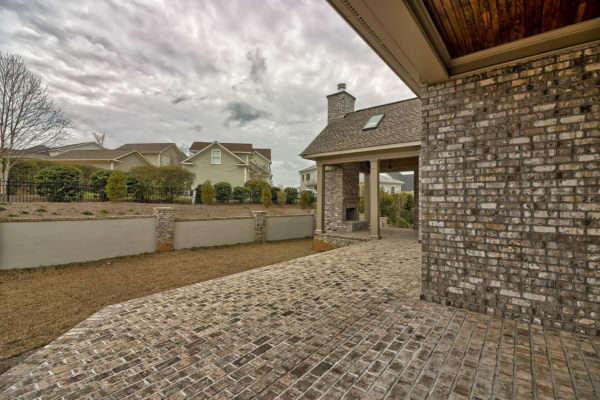 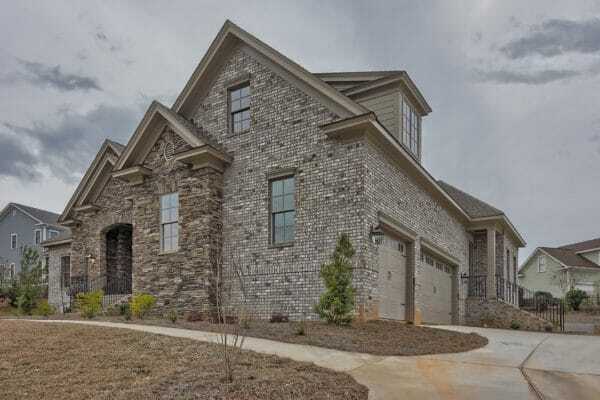 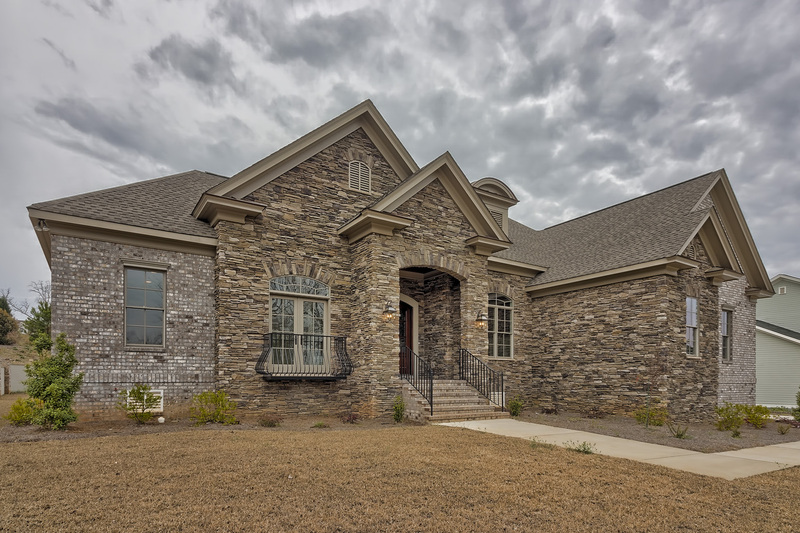 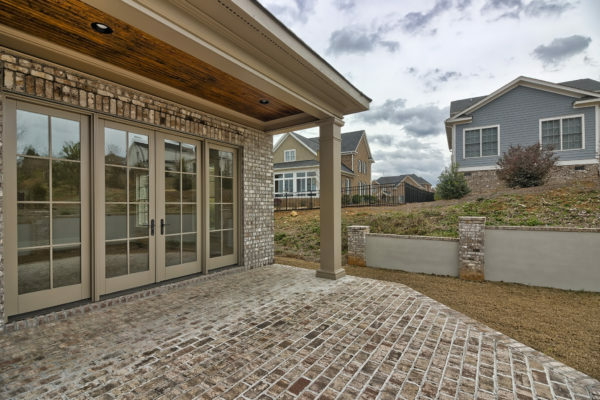 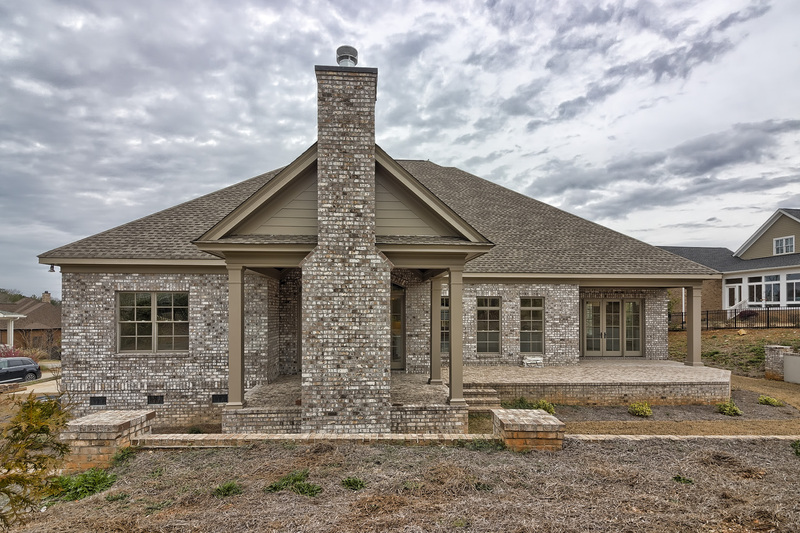 Step up into a covered main entry and into a well-designed floorplan featuring four bedrooms and 3.5 baths. 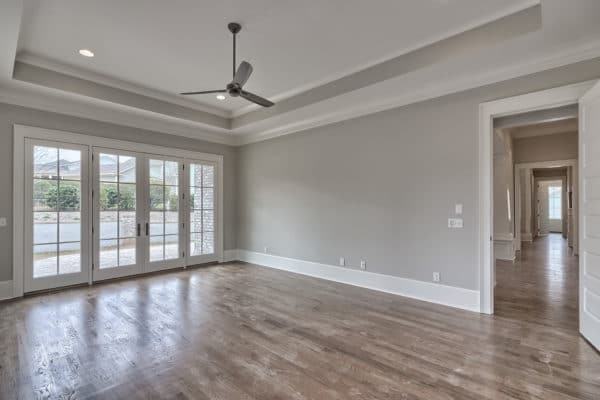 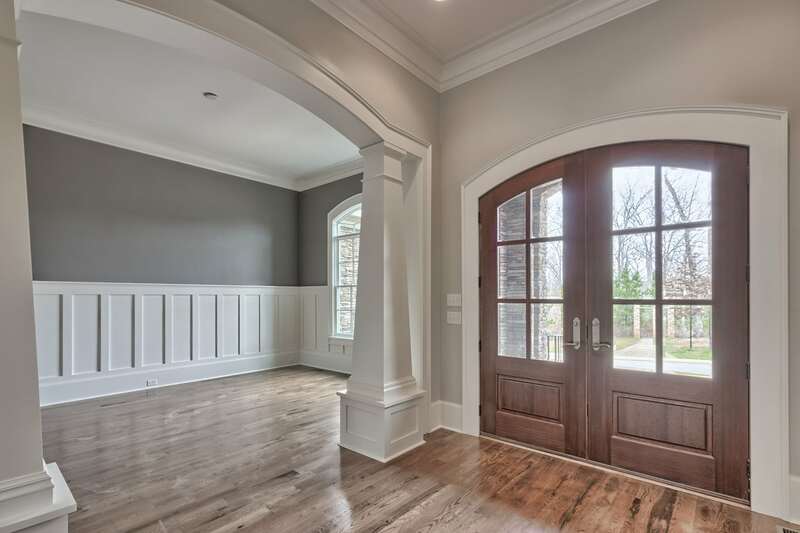 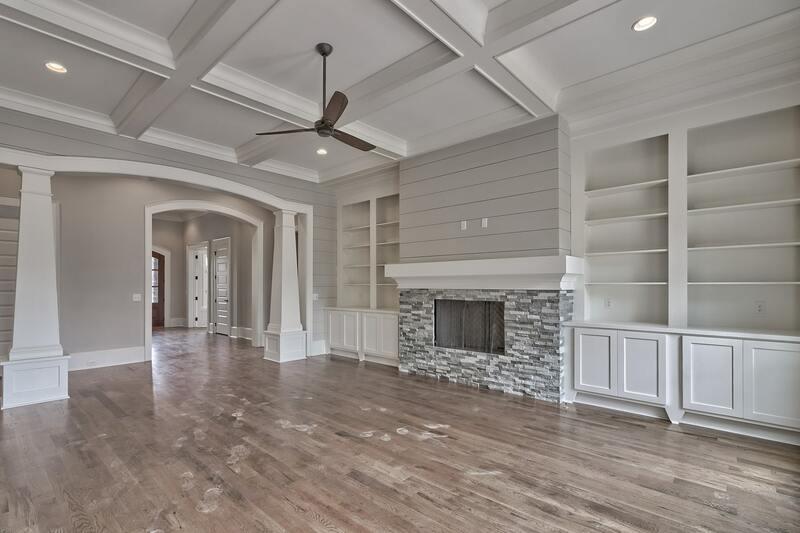 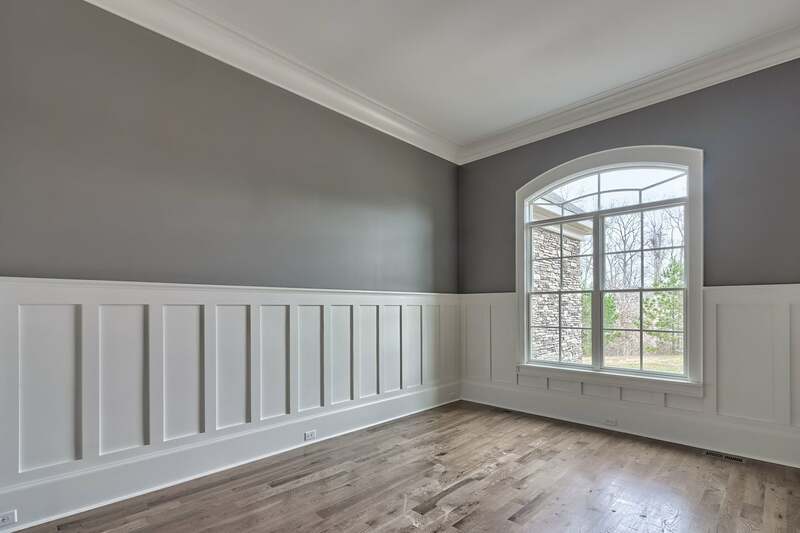 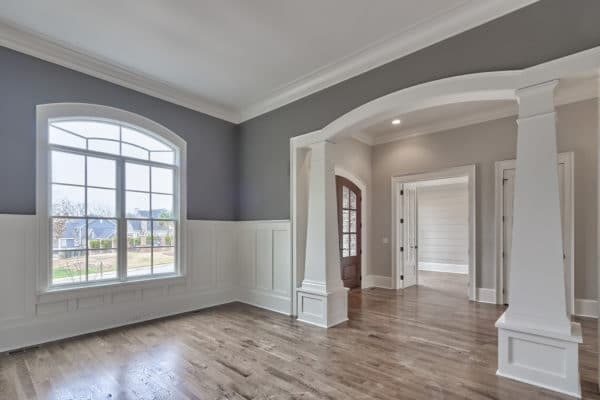 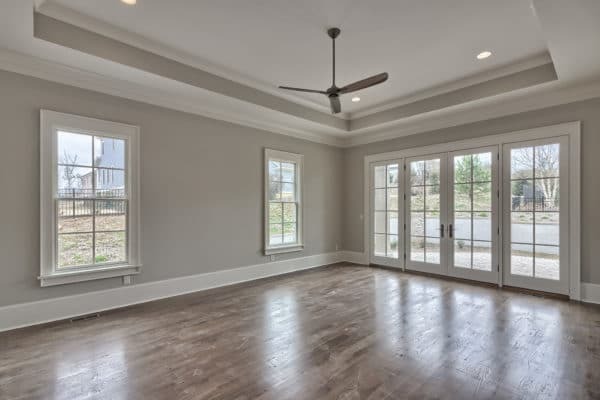 The impressive entryway opens to a formal dining room on one side and study or library room on the other. 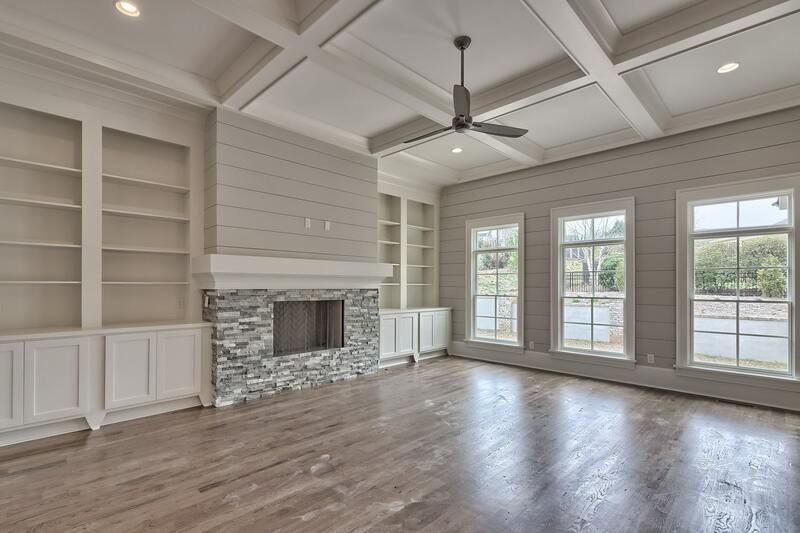 A gallery space opens into the great room with fireplace as a family friendly focal point. 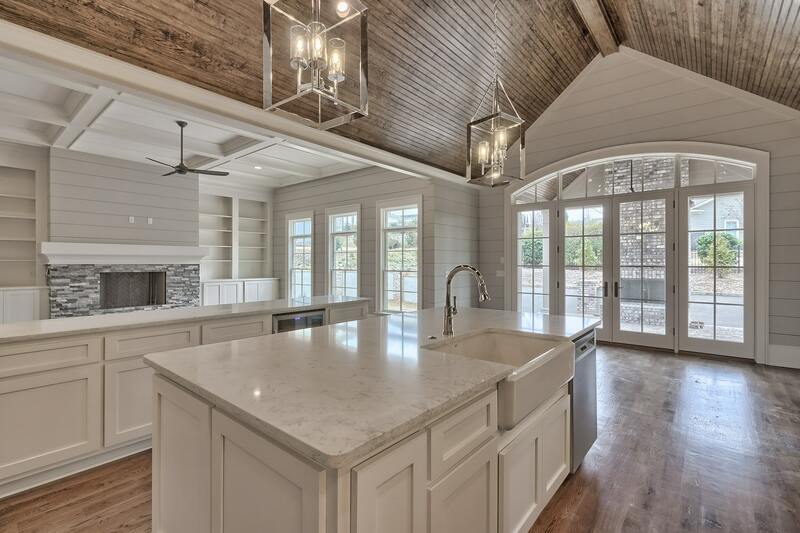 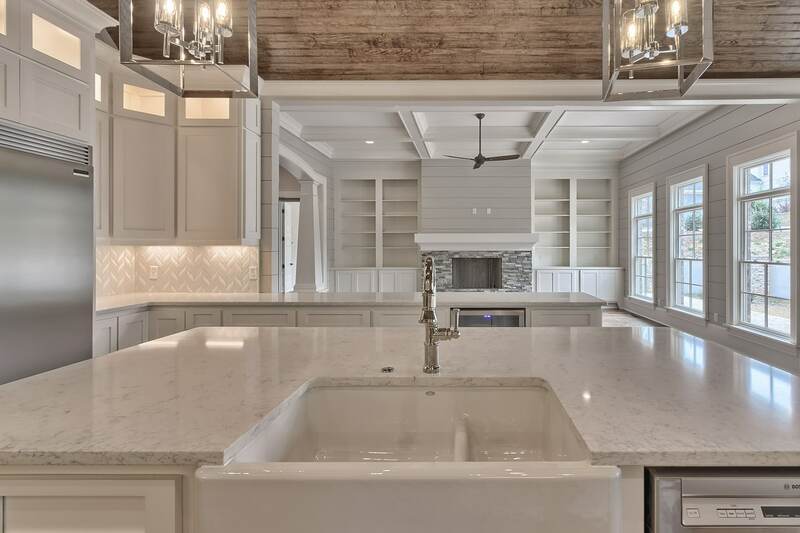 Adjacent to the great room is a gourmet cook’s dream kitchen with large kitchen island. A cozy breakfast area opens to a covered porch in the rear of the house for dining al fresco. 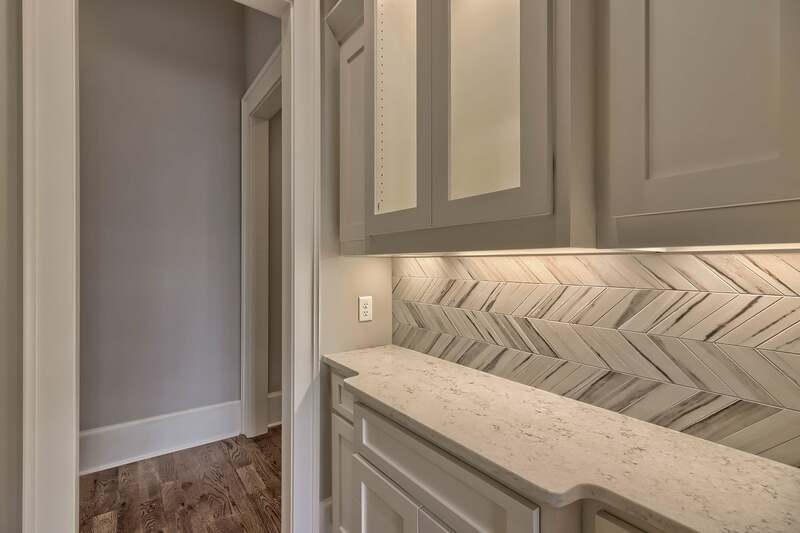 Store everything you need for memorable meals in the nearby pantry. 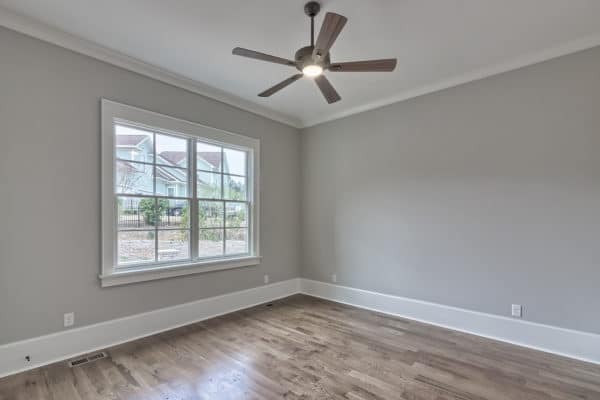 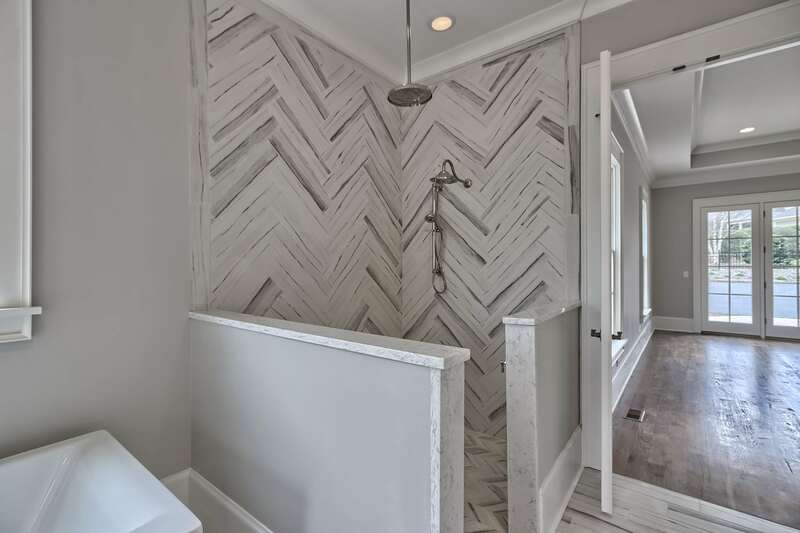 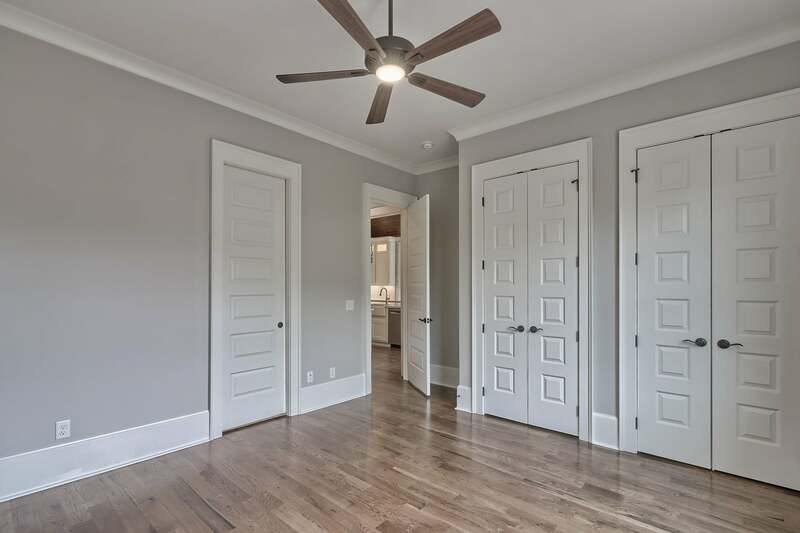 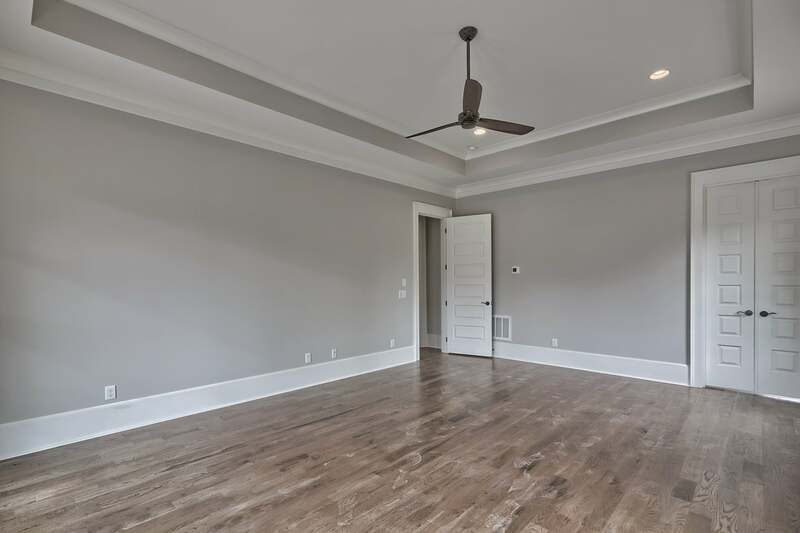 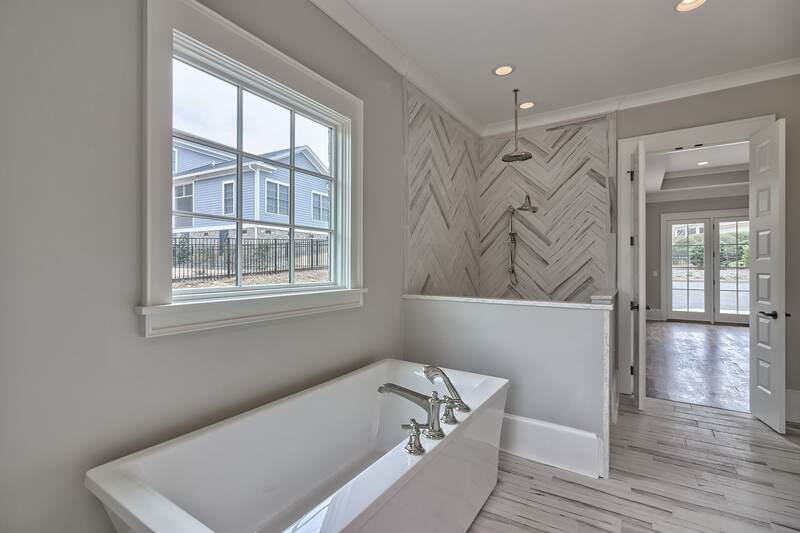 On one side of the main level is the ample master bedroom with attached bath featuring a water closet, spa shower, soaking tub and dual vanities. 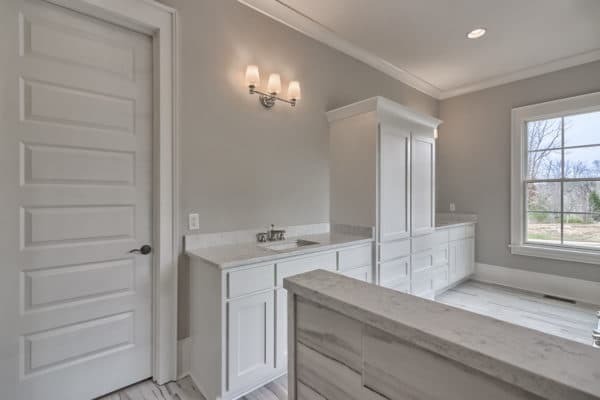 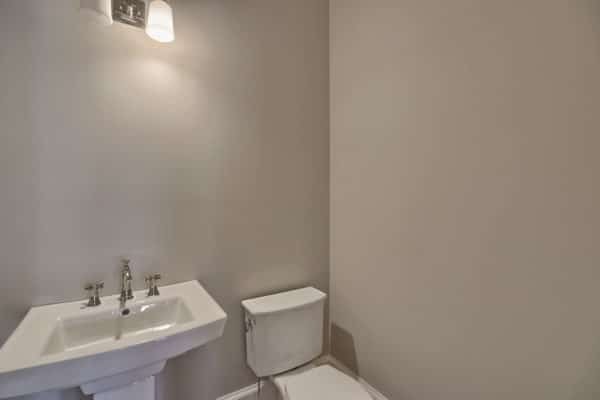 A huge walk-in closet is just off the bath. 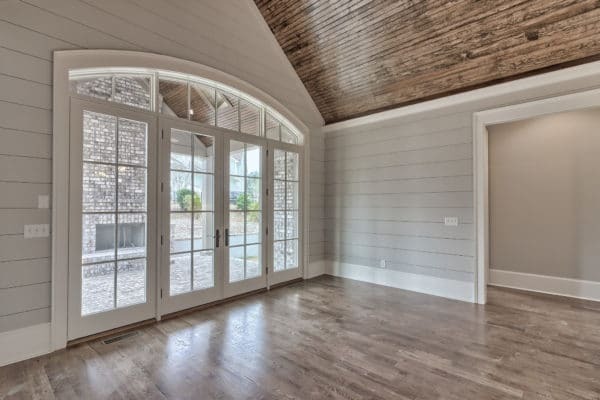 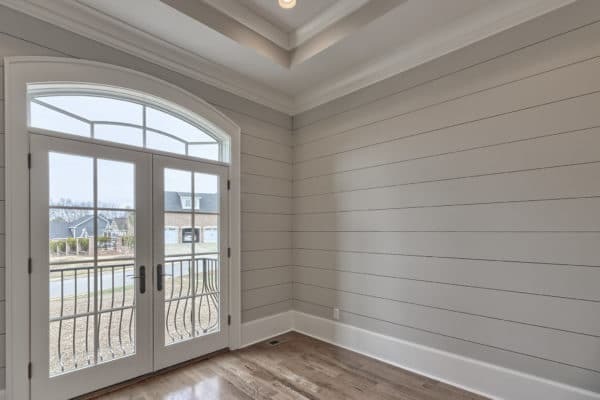 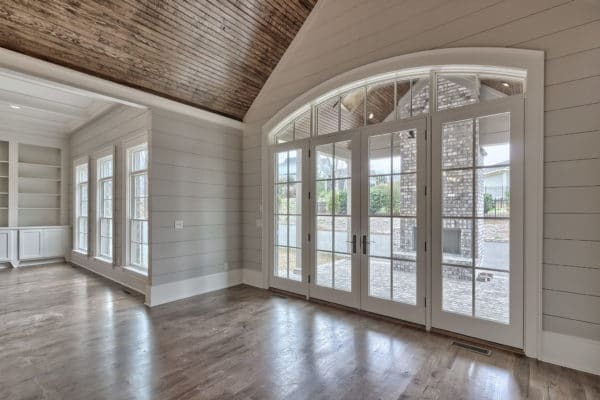 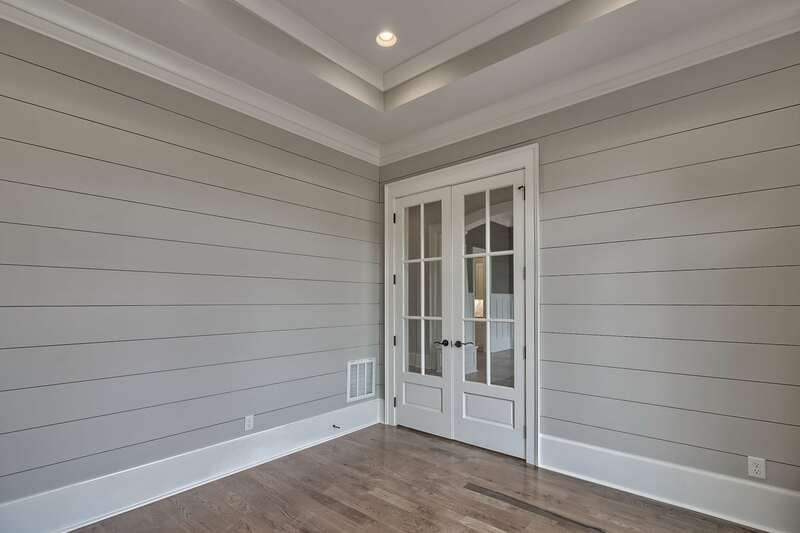 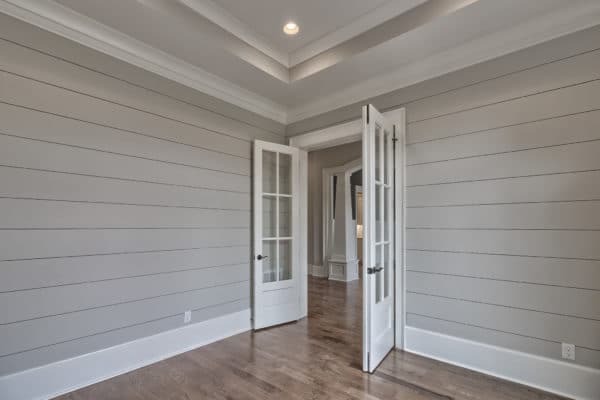 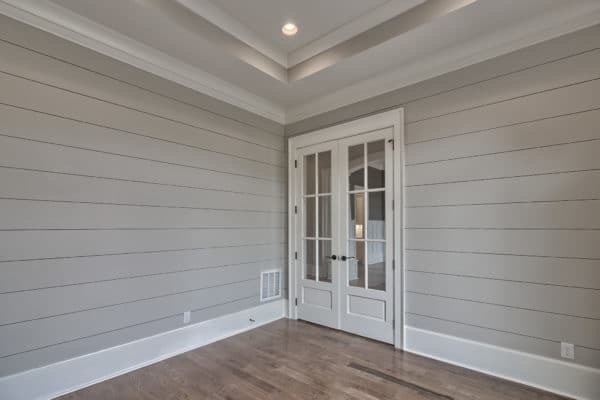 You’ll love the doors leading to a covered porch just off the master bedroom, perfect for morning coffee and conversation. 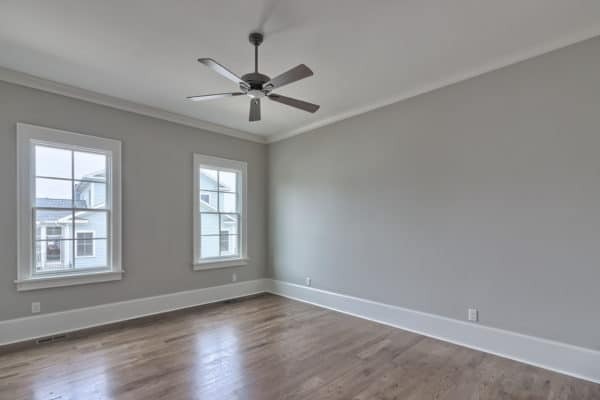 On opposite of the main level are two bedrooms with large closets and a shared full bath. 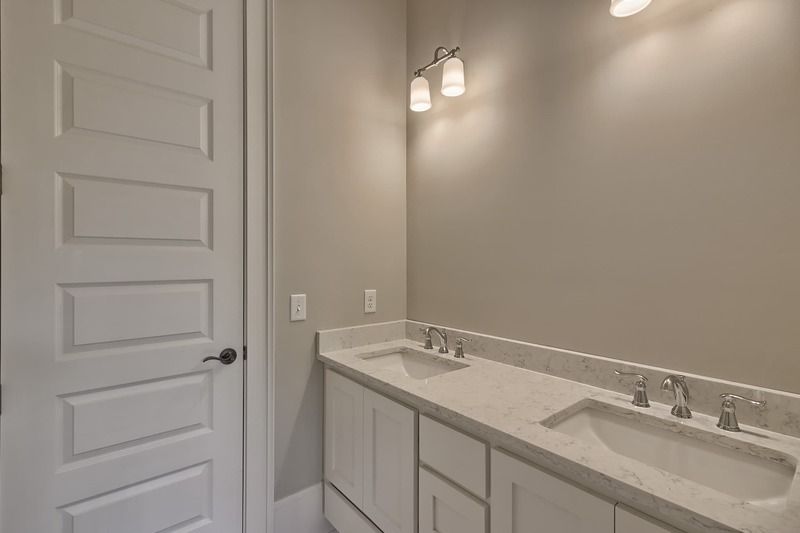 A laundry room is nearby for easy access. Upstairs is a large fourth bedroom with full bath and bonus room. This grand design offers space for the entire family to spread out and enjoy coming back together.